Dr. Frank Lichtenberger grew up in Cincinnati, Ohio, and received his undergraduate degree from the University of Miami, Coral Gables, Florida. He received his graduate degree from Ohio State, studying the Immunology of Chronic Inflammation, and also received his medical degree from Ohio State. 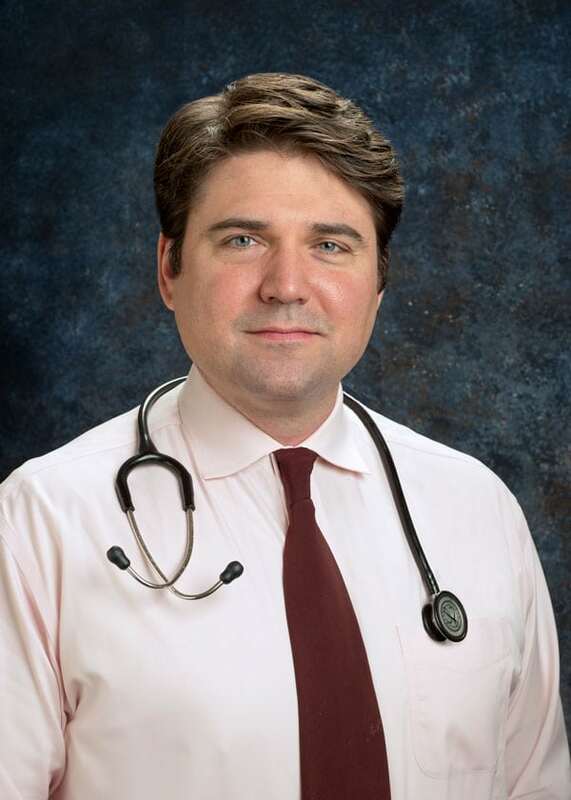 He completed his residency in Internal Medicine at the University of Texas Southwestern and fellowship in Allergy and Immunology from the National Institutes of Health. He spent additional time involved in translational research the Laboratory of Allergic Disease at the NIH. At the National Institutes of Health, he was responsible for developing the in-house teaching protocols for Anaphylaxis, as well as an Immunology consultant for the Undiagnosed Disease Program. He has given lectures at Grand Rounds in topics such as Mast Cell involvement in Lung Disease, as well as Eosinophila in the acutely ill patient. He is a member of the American Association of Allergy, Asthma and Immunology(AAAAI) Mast Cell Disorders committee. He enjoys cooking, traveling, swimming and spending time with his wife and daughter.